As we all know, Europe is still far from being a single financial entity and online gambling market is no different. Each country has its own laws, licenses and jurisdictions. However, there are online casinos that manage to go beyond those difficulties and offer great gambling experience to Europe casino players. The casinos listed below are in our opinion, the best online casinos in Europe for 2019. The are licensed to accept players from almost every country in EU and Eastern Europe; offer support in dozens of languages; accept wide range of currencies and most important, have a crystal clean history in the way they treat players. Most European online casinos are licensed either in Malta (Malta Gaming Authority) or in Gibraltar (Gibraltar Gaming Commission). There are some other options, such as Isle of Man, Cyprus, Curacao, but most EU brands licenses by those two. Casinos that also accept UK players usually have an additional license by the UK Gambling Commission and this is a great plus. UKGC is by far the strictest gambling authority in the world and its license is usually a sign of trust and fairness. European players can use a very wide range of deposit methods, from all prevailing credit cards to local payments such as FundSend, Webmoney, Przelewy24 and others. Below you can find a table of popular banking methods and corresponding withdrawal times. *Please notice that the withdrawal time-frames listed are for high level casinos only. 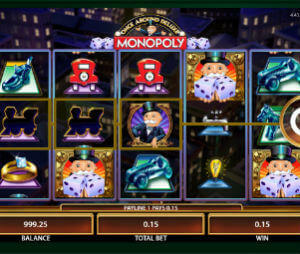 You should use them as a guideline for choosing a fast paying casino to play at. There are few EU countries that have more strict and even hostile online gambling laws. They do not accept any other gambling authority and require local license, which is not easy to get and is extremely expansive. Those are Spain and Italy.